After the symphonic majesty of The Soft Bulletin, the Flaming Lips return with Yoshimi Battles the Pink Robots, a sublime fusion of Bulletin's newfound emotional directness, the old-school playfulness of Transmissions From the Satellite Heart, and, more importantly, exciting new expressions of the group's sentimental, experimental sound. 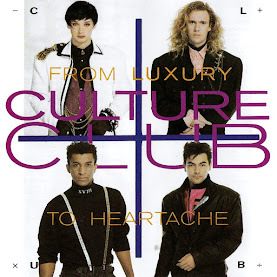 While the album isn't as immediately impressive as the equally brilliant and unfocused Soft Bulletin, it's more consistent, using a palette of rounded, surprisingly emotive basslines; squelchy analog synths; and manicured acoustic guitars to craft songs like "One More Robot/Sympathy 3000-21," a sleekly melancholy tale of robots developing emotions, and "In the Morning of the Magicians," an aptly named electronic art rock epic that sounds like a collaboration between the Moody Blues and Wendy Carlos. Paradoxically, the Lips use simpler arrangements to create more diverse sounds on Yoshimi, spanning the lush, psychedelic reveries of "It's Summertime"; the instrumental "Approaching Pavonis Mons by Balloon"; the dubby "Are You a Hypnotist? "; and the barely organized chaos of "Yoshimi Battles the Pink Robots, Pt. 2," which defeats the evil metal ones with ferocious drums, buzzing synths, and the razor sharp howl of the Boredoms' Yoshimi. Few bands can craft life-affirming songs about potentially depressing subjects (the passage of time, fighting for what you care about, good vs. evil) as the Flaming Lips, and on Yoshimi, they're at the top of their game. "Do You Realize??" 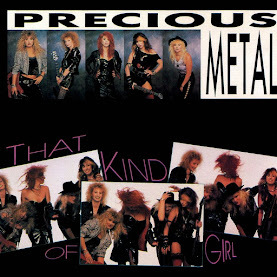 is the standout, so immediately gorgeous that it's obvious that it's the single. It's also the most obviously influenced by The Soft Bulletin, but it's even catchier and sadder, sweetening such unavoidable truths like "Do you realize that everyone you know someday will die?" 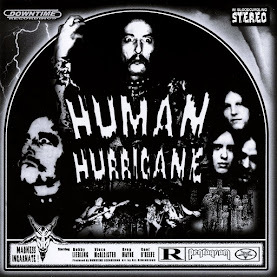 with chimes, clouds of strings, and angelic backing vocals. 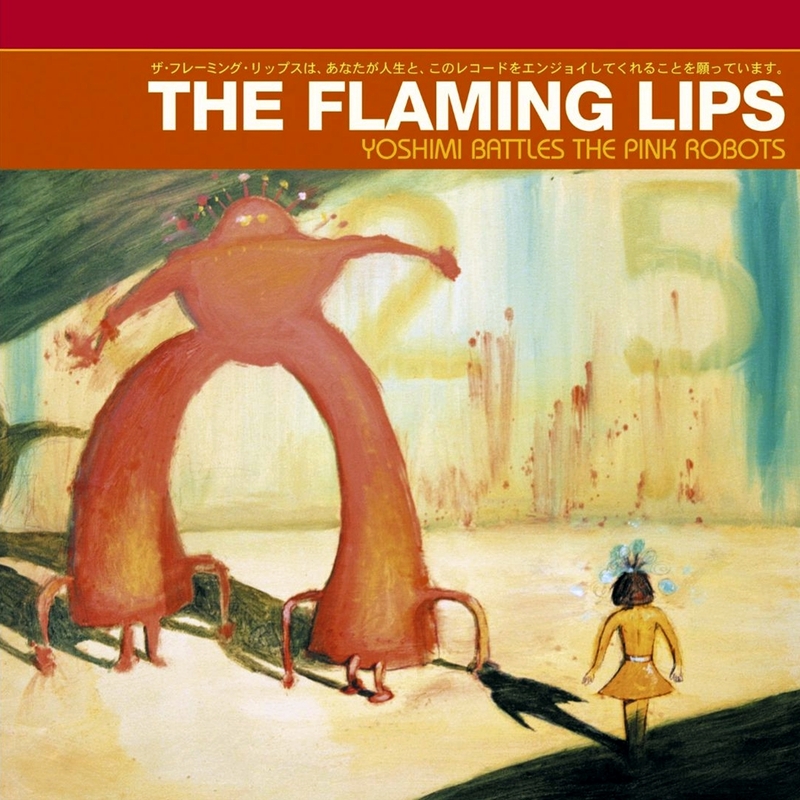 Yoshimi features some of the sharpest emotional peaks and valleys of any Lips album -- the superficially playful "Fight Test" is surprisingly bittersweet, while sad songs like "All We Have Is Now" and "Ego Tripping at the Gates of Hell" are leavened by witty lyrics and production tricks. 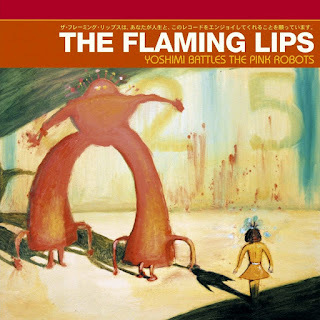 Funny, beautiful, and moving, Yoshimi Battles the Pink Robots finds the Flaming Lips continuing to grow and challenge themselves in not-so-obvious ways after delivering their obvious masterpiece.